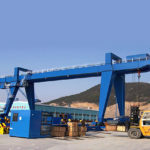 Truss gantry crane is very essential for loading and unloading materials in outdoor markets. Some truss cranes are equipped with an closed track, while others also install semi closed track according to the construction shape. In addition. 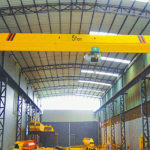 No matter what it is single girder or double beam, the crane has high demand outdoor and indoor. 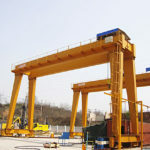 Compared with other gantry cranes, the type can be fixed in the position where it will not change, when load and unload. under most circumstances, outdoor working area can be beneficial to the structure expanding, which makes the device easily move. Because the manufacturer can create different tonnage, one example is the sizes which are composed of many factors, such as the countries, materials and construction sites. The designer continues to improve product design and manufacturing processes. The firm is a large-scale integrated enterprise including design, development, manufacture, sales, installation, maintenance, inspection, and service of lifting machinery. It is based on the services and the development of China’s industry. 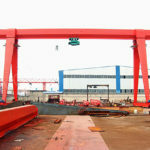 The company owns various large-scale machinery specializing in the production and processing of gantry cranes, overhead cranes, cantilever cranes, electric hoists, etc. It has a complete and scientific quality management system. According to the main beam structure, there are two type with single girder and double beam. The truss design adopts the structure form with many steel welded, is suitable for lifting the massive and medium projects. The product has two controlling ways with ground controlling and drivers’ room controlling. In order to ensure the safety, we use many advanced technologies that boost the stability. By contrast, truss type cost of raw materials is more reasonable than box type’s. Generally, the type has the features such as with light weight, sound wind resistance and durable performance. 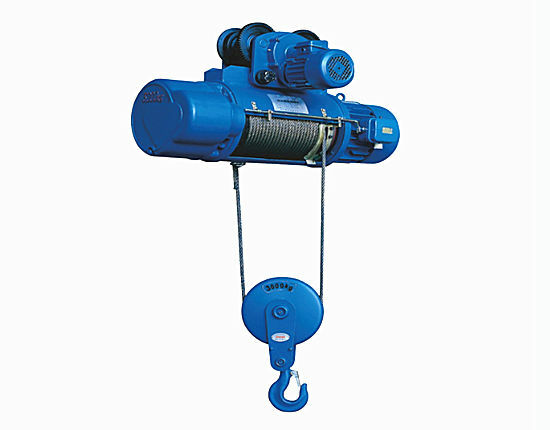 The lifting capacity can has different tonnage depending on the customers’ requirements. 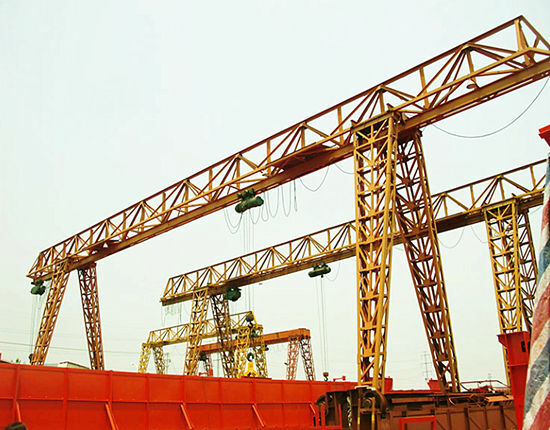 The main technical specifications of the truss crane including the crane weight, basic dimensions, lifting height, and the span. If you want to know more about the type or other products, you can browse our websites and carefully watch the videos where they show the detailed introduction of the specific information of our products for customers. MH molder electric hoist (truss type ) gantry crane works with the CD1, MD1 hoists, is the small and medium-sized crane with a track travelling. The working class is divided into different levels with light duty, intermediate duty and heavy duty for different material lifting demands. 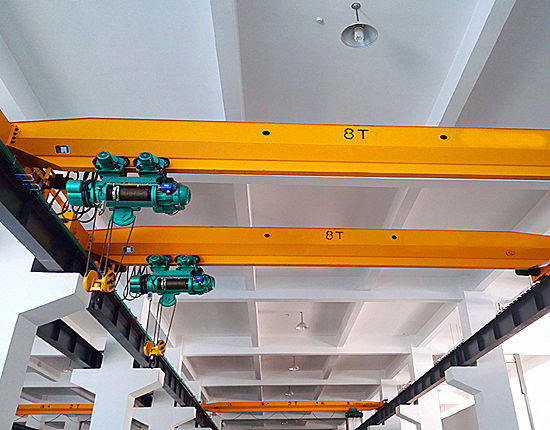 Generally speaking, the lifting capacity of the structurally designed standard system is 3 tons to 6 tons; the span is mainly 12 meters to 30 meters; the working environment is -20 degrees and +40 degrees. However, if the clients have special projects or in different cold or tropical countries, our products can adopt professional materials and get protection of the normal operation of the work. 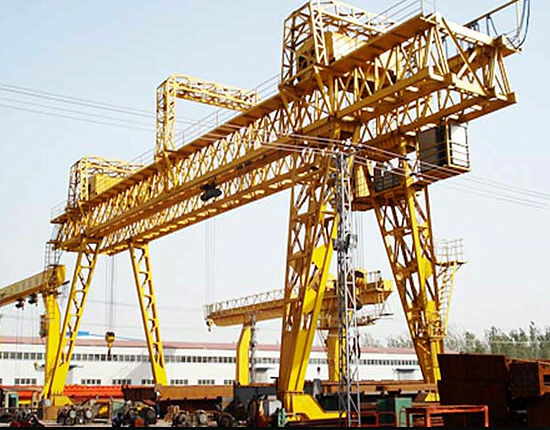 The crane with electric hoist is environment machine, which has the steel legs supporting the main beam and hoists running. There are some advantages about the truss gantry cranes. The use of lightweight truss structures helps reduce the impact of wind on the crane. The main girder and auxiliary legs can be dismantled easily and simply, which helps the workers strength the efficiency of the products and save cost. Our designer and supplier can meet the markets’ requirements of standards which control the market direction of development. 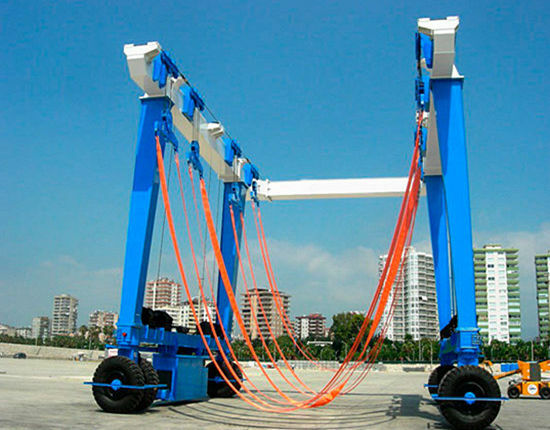 The structure with hoists can be convenient for the users to lifting materials and enhance the mechanized management. 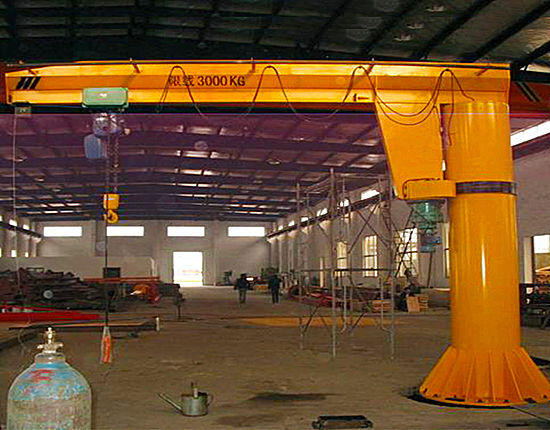 Single truss gantry crane has the one truss beam and is mainly used in loading and unloading the light materials. Its trolley can hang below the main girder when the crane moves along the track on the ground. Owing to the light weight, it can be used in different working occasions. Although it has the main girder, the product can be cost-effective. 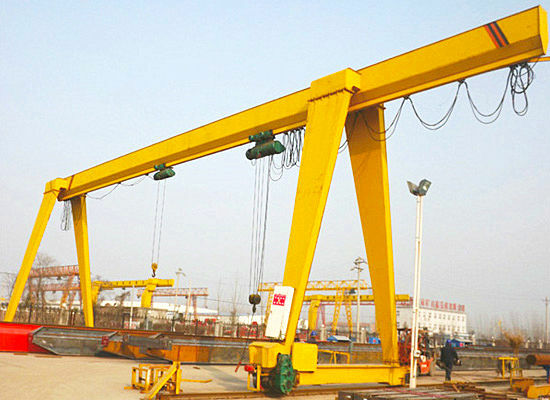 According to the client requirements, truss semi-gantry crane can also be designed with two support legs. Proudly, our products have made the good contribution to offer the life better serving. With the development of the society, we have been more than several decades experience and delivered different products over 60 countries and regions. They are divided into various classifications. If you want to expand your business, you can visit our factory in China and you will see the obvious features of the product. 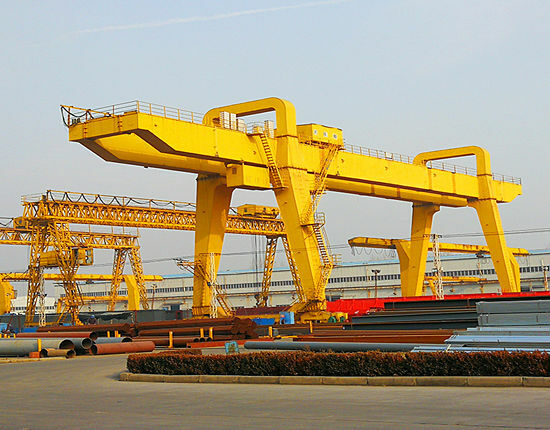 According to the warehouse, port and outdoor conditions, the firm designs many sets of cranes for customers, including one ton, ten ton and hundred ton and other tonnages. 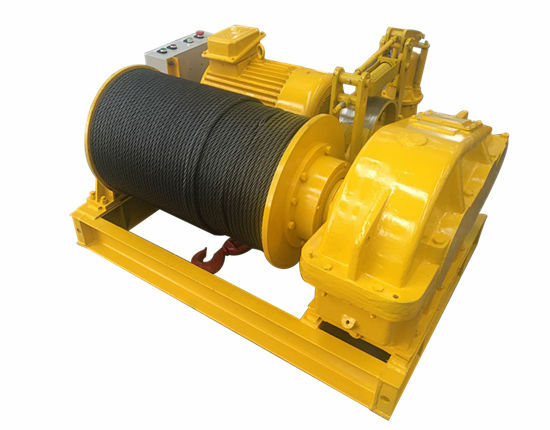 In addition, if you have special requirements, we can customize all kinds sizes and lifting capacity. No matter what you choose the single girder truss type or the double beam truss type, we can promise customers that we have the standard quality safety certificate and serve you maintenance and inspection. With the production scale growing, the markets increasingly need to improve the structure and high quality. Based to the customers’ requirements, now, they want to deal with the installation and transformation. For different applications, many types of the crane are used in working occasions. 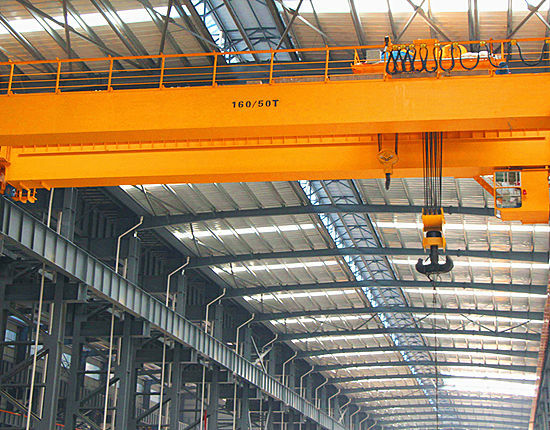 Especially for developing countries, all kinds types of crane equipment meets the their demands, and the truss gantry crane has many convenient factors such as sound wind resistance. 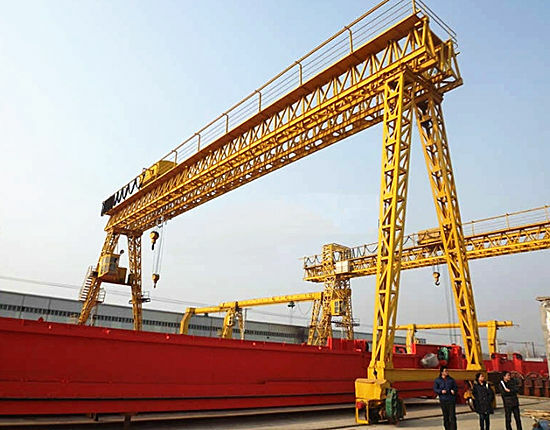 The truss gantry crane for sale has been exported to many countries at home and abroad and won a high honor. On the condition of quality and safety, Ellsen wants to help customers save cost as soon as possible we can. So on the basic of the standard of the quality, we provide the most cost effective price for our new or old friend. If you would like to order a wide number of products, our company must give you a reasonable and discount price. 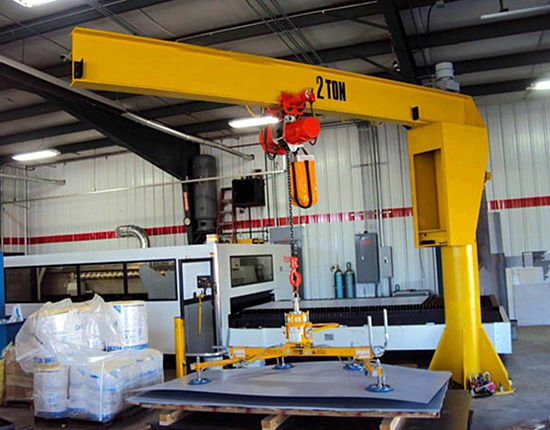 Are you researching for the truss crane? Why not contact us as soon as possible? If you are interested in our products, you can leave your message that give your question. Our staff will reply you as soon as possible.